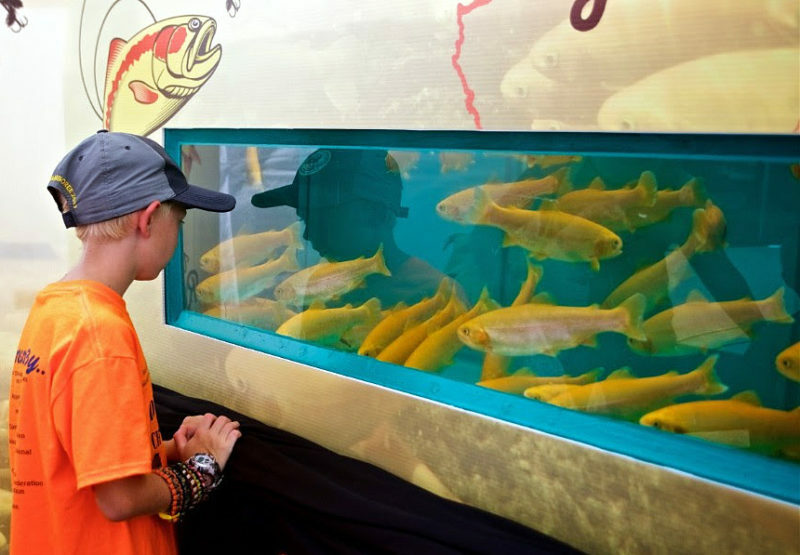 A youth watches golden trout swim at a West Virginia wildlife exhibit. Photo courtesy W.Va. Dept. of Commerce.